Due to Sweden’s neutrality during WW2 the country was forced to develop its own aircraft industry and produce it’s own air defence aircraft. Design of the J21 started in 1941 and it first flew in 1943. The pusher layout had a number of advantages including great pilot vision but there is a problem in abandoning the aircraft with the location of the propeller. 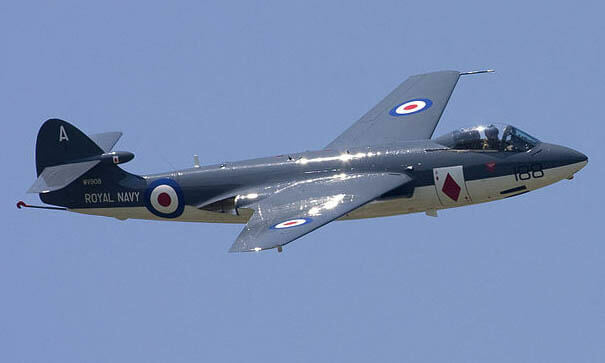 To address this the J21 was one of the first aircraft to be fitted with an ejection seat. 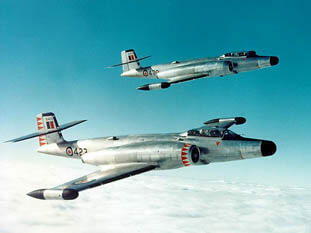 The layout of the aircraft lent itself to conversion to turbojet power, and the J21 was one of only two aircraft to be converted from piston engine power to turbojet engine power. 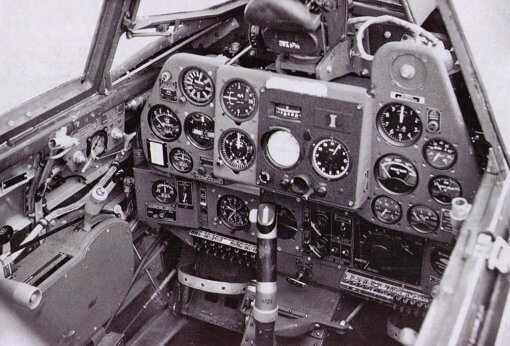 The new version designated J21R first in 1947. 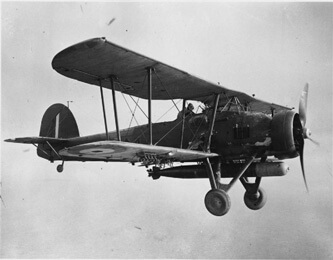 298 examples of the J21A were built and 64 examples of the J21R. Both aircraft were only in service for a short period, the J21A being superseded by jet aircraft including the J21R, which in turn was replaced due to the introduction of the considerably more capable J29 aircraft. 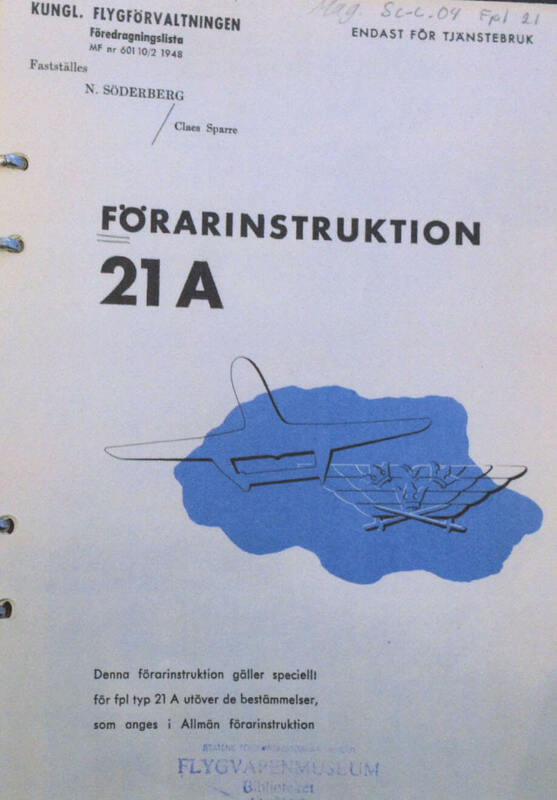 This title contains the Swedish Air Force (Flygvapnet) flight manuals (Speciell Forarinstruktion) in the Swedish language for the piston-engine J21A and the turbojet powered J21R. The files have been scanned from the original documents and retain any colour pages. 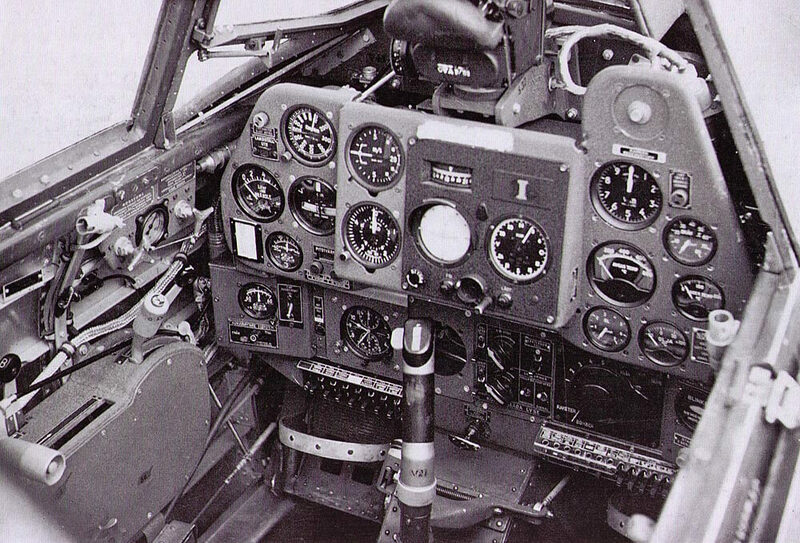 Flygvapnet Forarinstruktion for the Saab 21A, dated 1948 with approx. 115 pages. 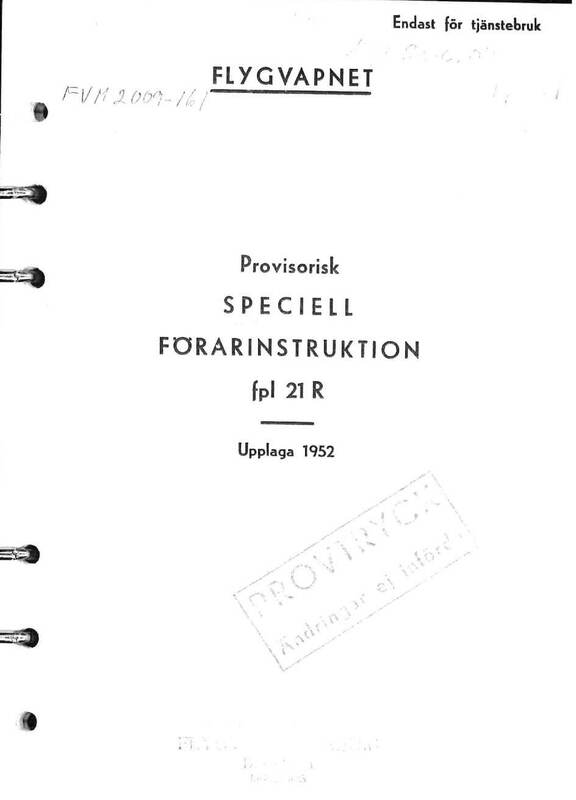 Flygvapnet Provisorisk Speciell Forarinstruktion for the Saab 21R, dated 1952 with approx. 48 pages.